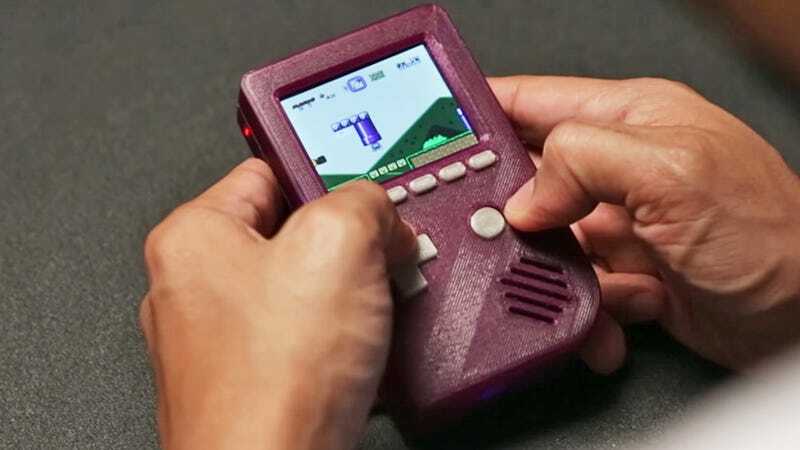 If you really want a retro-gaming project to get your teeth into then this Game Boy one on Adafruit fits the bill. As well as getting familiar with emulators on the Raspberry Pi, you also need to build some custom electronics of your own and find a 3D printer to create a case to fit everything into, but the end results are should be worth all of that time and effort. For those of you who can’t get your hands on a NES Classic or just want to get creative by building your own, there are several DIY options to pick from. Over at Howchoo you can find a detailed guide for stuffing an entire Raspberry Pi emulator setup inside an original NES cartridge (you’ll need to take the game out first) and hooking it up to your TV set. Games consoles of years past were nowhere near as powerful as the electronics of today, which means you can cram old-school systems into very tiny spaces—as this guide demonstrates. You won’t actually need to track down an old NES or Atari to cannibalize. Instead you use the MAKERbuino system, based around Arduino and compatible with the open source Gamebuino platform. Besides building a cool GameBoy like device you’ll also learn some basic coding and electronics skills. If a full-size arcade cabinet won’t fit in your living room then you can convert your coffee table instead, and even add charging ports for your regular gadgets. You can use a basic PC system or a Raspberry Pi to run the emulator software, and of course customize the table to suit your needs. Lifehacker has a comprehensive guide on how to get it set up.